Today's business transactions are mostly driven by plastic payment - debit cards. As a business owner, tracking your expenses should not be limited to cheques and cash transactions because most of your suppliers' acceptable means of payment are now tilting to online transactions. Quickbooks makes set up and recording of credit card transaction easy. 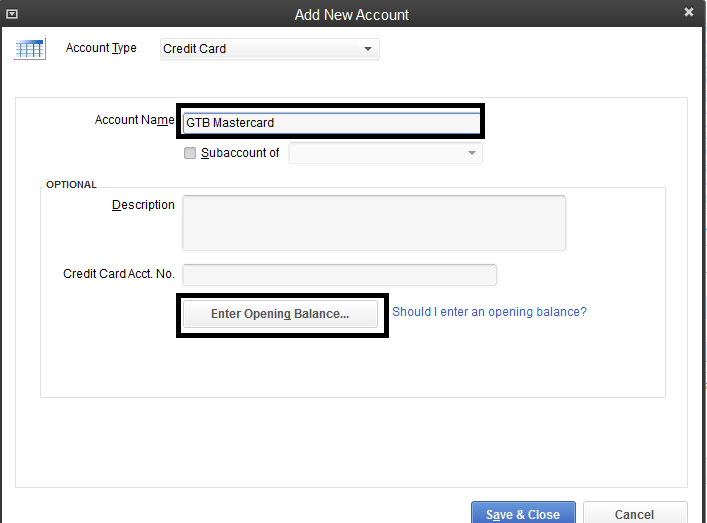 To set up credit card charges in Quickbooks, click Banking and select Credit Card Charges. 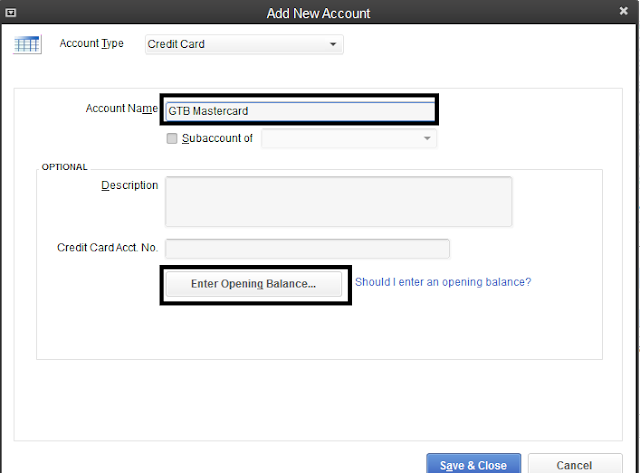 Use this window to set up your credit cards in Quickbooks. Click Add New to set up a credit card. Account Name: Enter your credit card account name. Credit Card Acct No: Enter the account number on your plastic or virtual credit card. 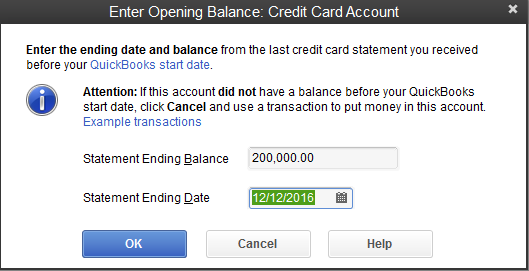 Click Enter Opening Balance to set-up the current balance of your credit card in Quickbooks. Statement Ending Balance: Enter your current credit card balance. Statement Ending Date: Select the set-up date. On the screenshot above, your credit card balance is already showing in Quickbooks as enter previously. 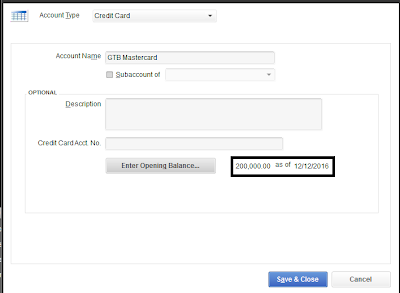 Click Save & Close to finish Credit Card set up in Quickbooks.